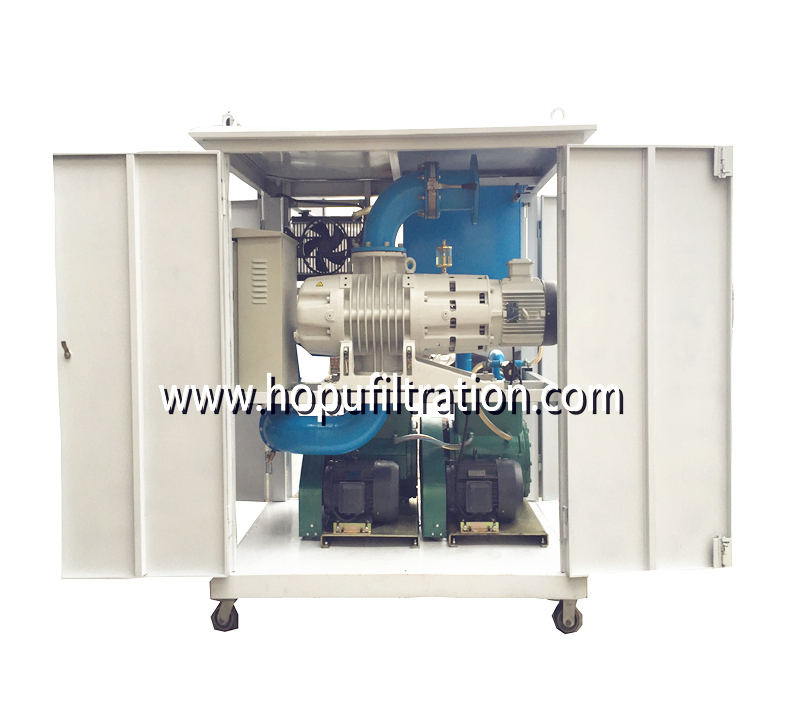 ZYD-U Series Ultra-high voltage Transformer Oil Filtration Machine with Double Vacuum Distillation is for Ultra-High Voltage transformers like 500KV, 750KV, 1000KV, it is mainly used to improve the properties of insulation oil for 66KV to 500KV project. 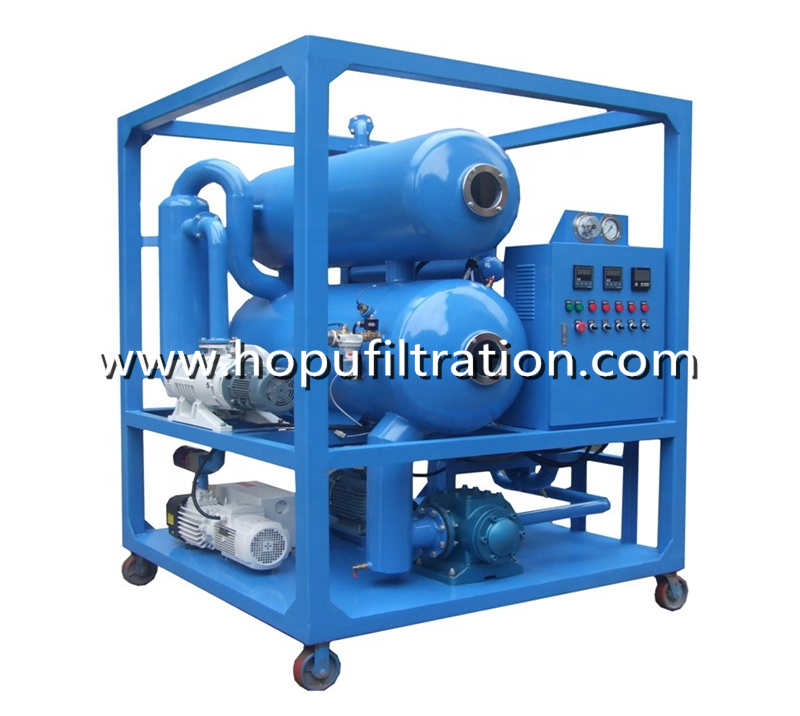 It can remove trace water, gas, particulate matters etc. from the insulating oil effectively and rapidly so as to boost performance of transformers, circuit breakers, mutual inductors, cable and capacitors which has insulation system. ZYD-U series specialize in purifying branded oil, insulating oil of high voltage and super high voltage transformer. Additionally, it is suitable for treating low viscosity lubrication oil. 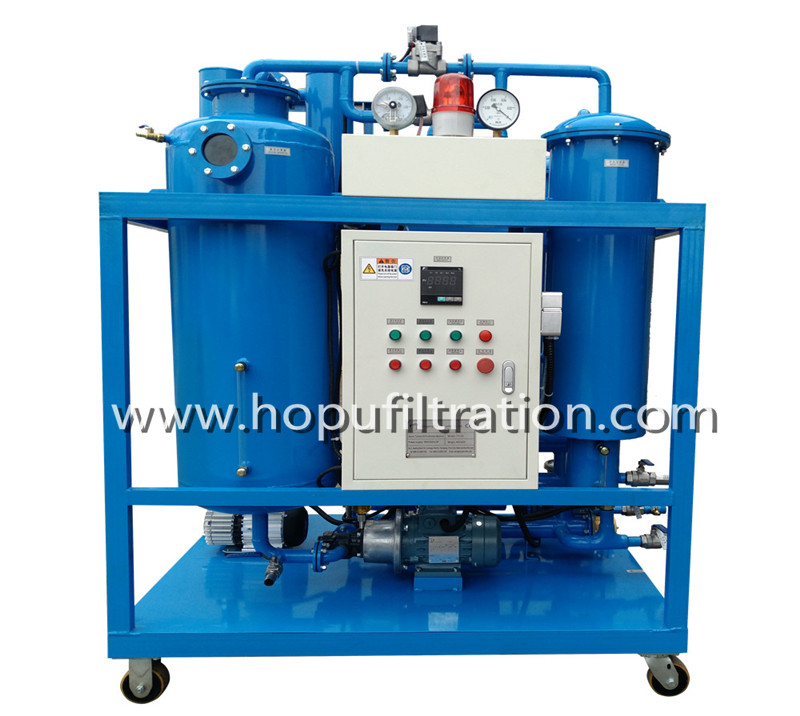 1.ZYD-U series Ultra-High Voltage Vacuum Transformer oil purifying machine has one pot with two-stage vacuum-segregating space, it come into being different pressure so as to keep oil line balance between two stages. 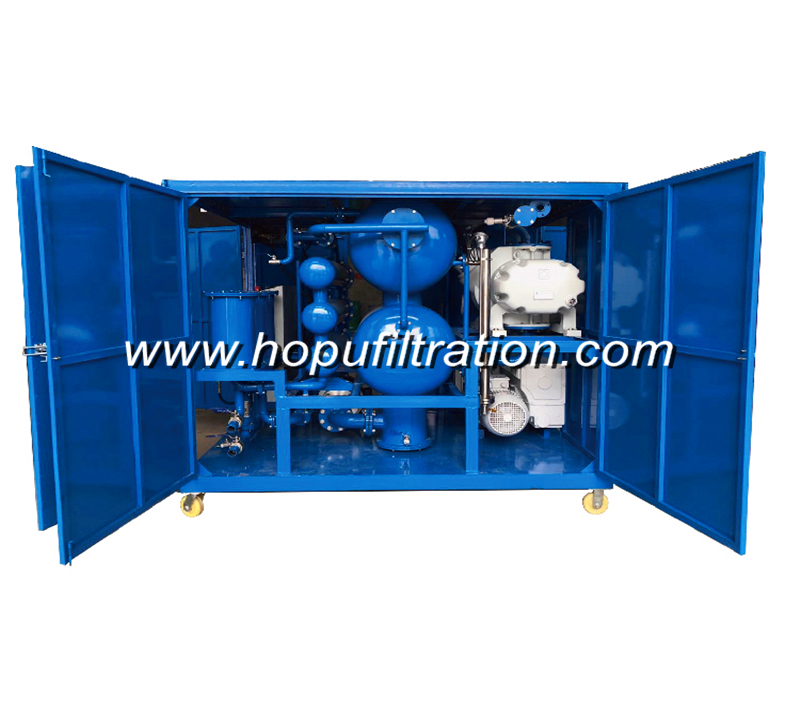 2.The pump of this product is adopted vacuum-pump imported from Europe, which have preceding level in the world, and with high air pump speed so as to get high working vacuity. 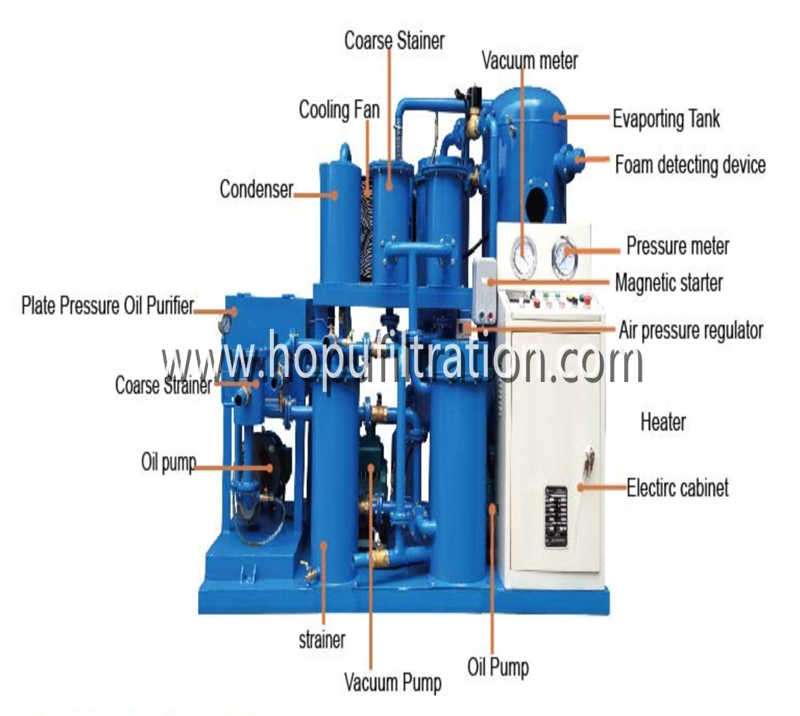 5.Oil level control adopt photoelectric way which the main components is imported from Switzerland and have features of sensitive control, exactitude so much as feel the spume of oil, mount the equipment to prevent super high and super low oil level. Spurting oil phenomena is never appeared. 6.As the clients requirement, they could choose equipment which their components were all or partly imported from overseas. Include touching screen and flow gauge is can be selected according to customers. This series could meet different kinds of customers need. 7. 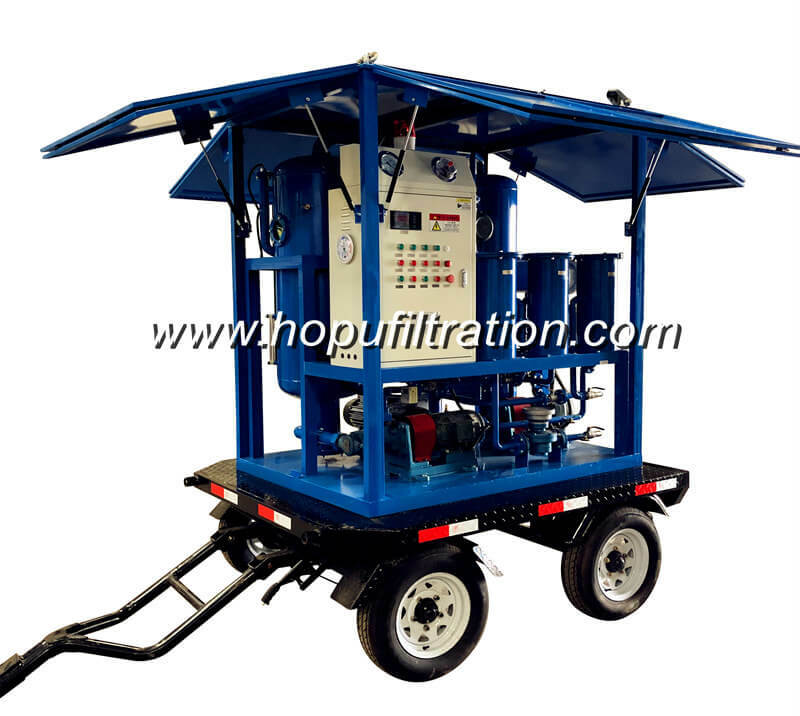 ZYD-U series Ultra-High Voltage Vacuum Transformer oil purifying machine equips filter assemblies imported from U.S.A. and it has large filtering area, strongly absorbent-dirt capability, high filtering precision.